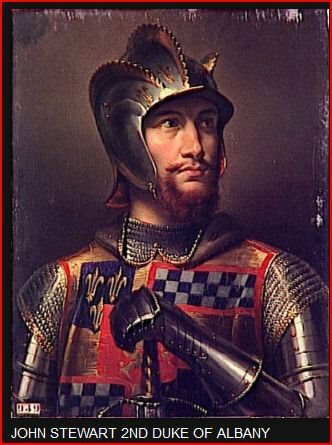 The nobility had special political and social status. 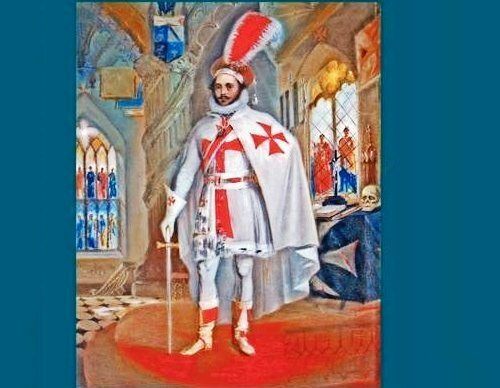 Nobility is inherited or granted by the crown as a reward to persons who perform a heroic deed, have a notable achievement, or hold a prominent government position. British nobility has a well-defined order. The highest noblemen are peers, which include the titles (in descending rank) duke, marquis, earl, viscount, and baron. This is followed by the gentry, whose titles are baronet, knight, esquire, and gentleman. Both peers and gentry are entitled to bear coats of arms. The noble class forms less than five percent of Scotland’s population. Scotland limited the growth of the noble class. 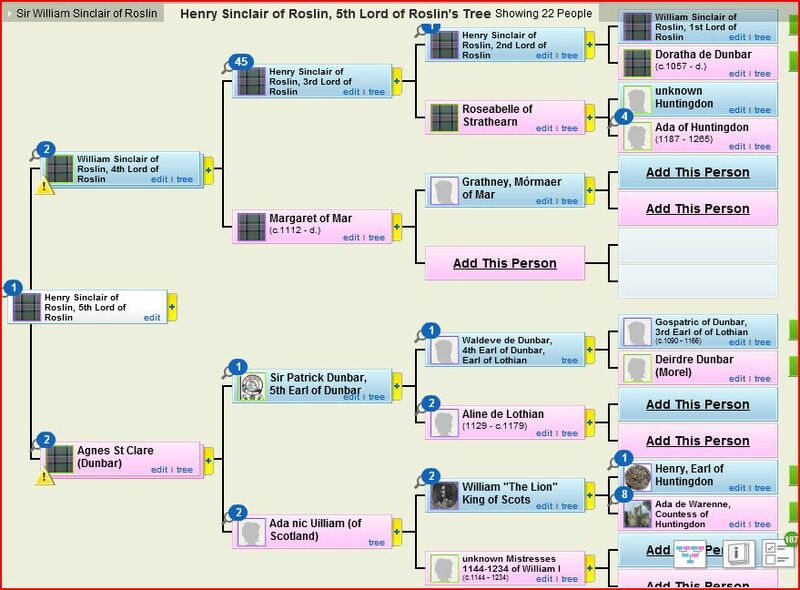 The eldest son inherits the father’s title, and younger sons may or may not have lesser titles. 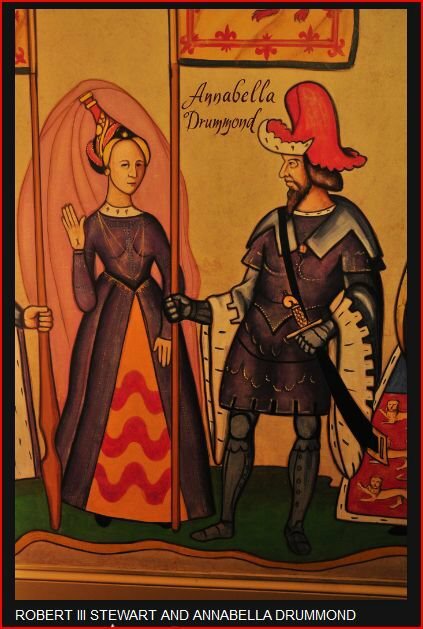 When a nobleman dies without sons, the title lapses unless the crown awards the title to a daughter’s husband. Most family traditions of having a noble ancestor are not true since most noblemen did not emigrate. 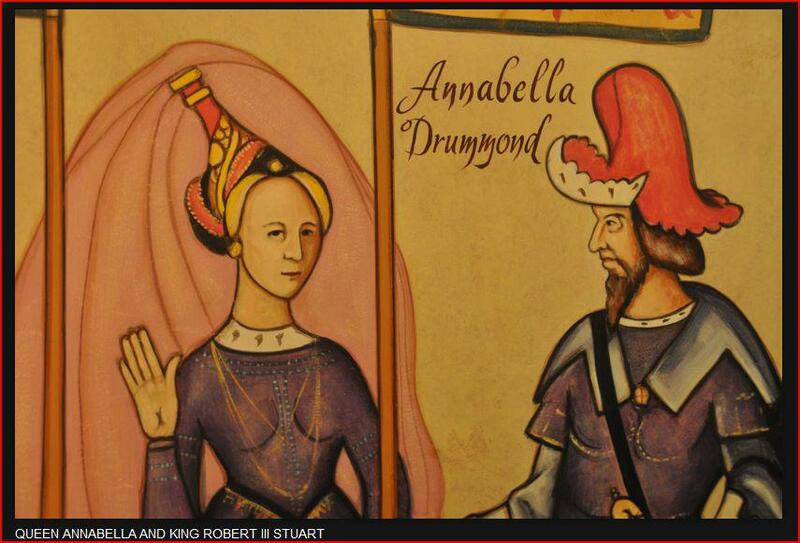 Contrary to popular belief, few nobles were disowned by family members for unacceptable behavior. Thus, most traditions of an ancestor being "erased" or "eliminated" from all records are unfounded. 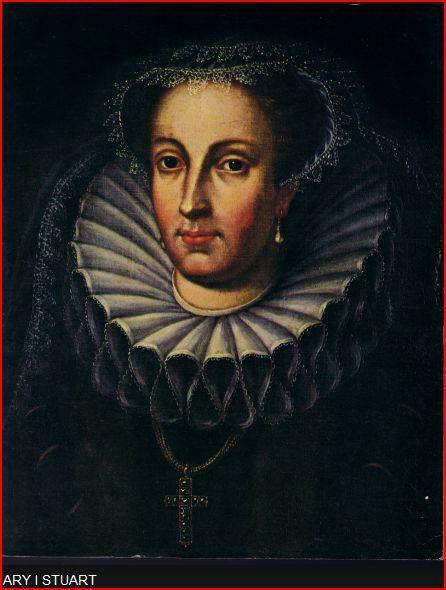 Illegitimate children were not entitled to noble status and are often not shown in family pedigrees. 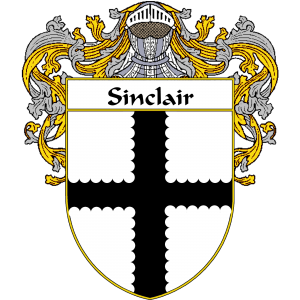 They may, however, have been granted a title and variation of the father’s coat of arms. Younger sons had the right to use the father’s coat of arms altered with cadency, a mark showing birth order. The records of peerage creations and related documents are kept at the Lyon Office (see Scotland Heraldry). 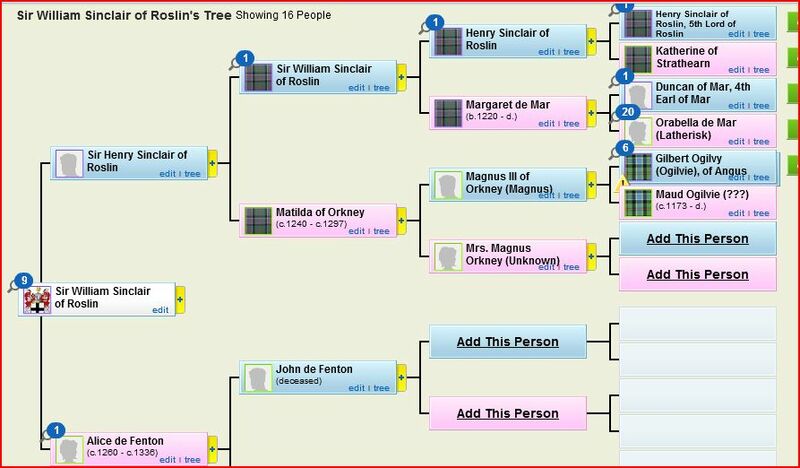 There are many original records for noble families. These documents often are not available to the public, but you can accomplish most nobility research in secondary sources. The rightful heir is not a Steward . 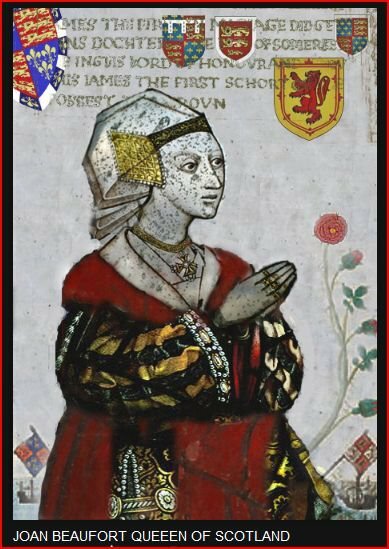 He or she has to be descended from Alfred the Great, William de Normandie, Elizabeth Woodville, de la Zouche family, Hastings family, Plantagenet dynasty before Edward III Windsor, King Kenneth MacAlpine Society of Antiquaries of Scotland. 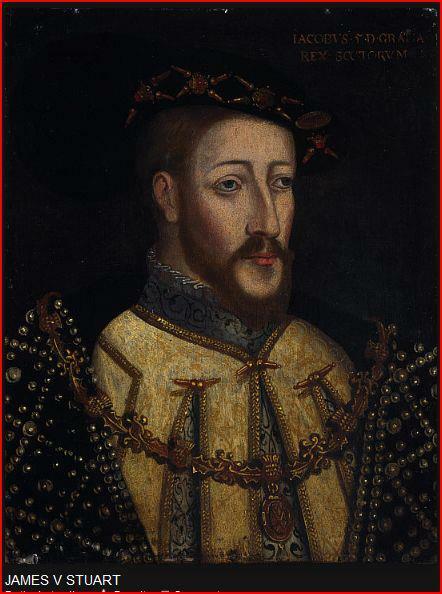 Not King Edward IV or any successor with Tudor exception . 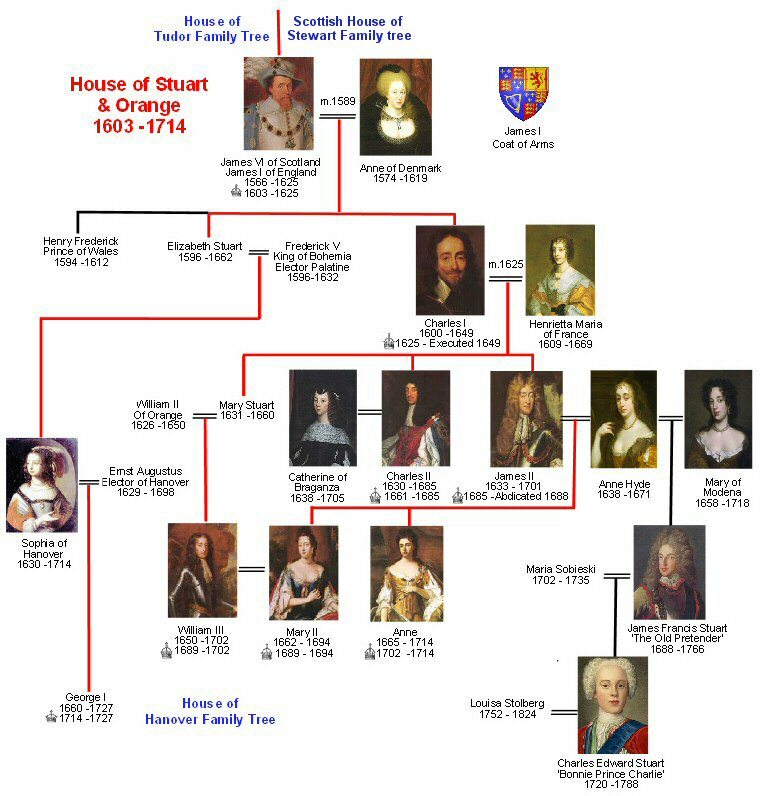 The Stuart dynasty began with Robert II taking the throne as King of Scots in 1371, and ended with the death of Anne of Great Britain in 1714. 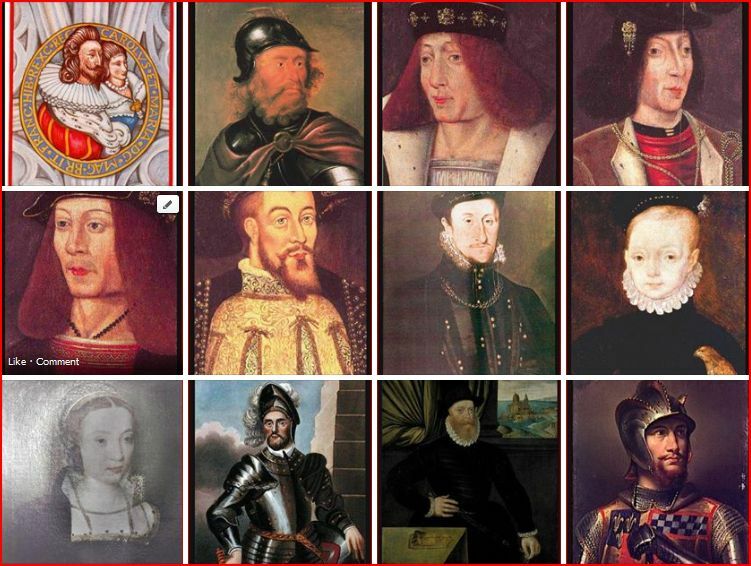 In total, 15 monarchs ruled Scotland over 343 years. 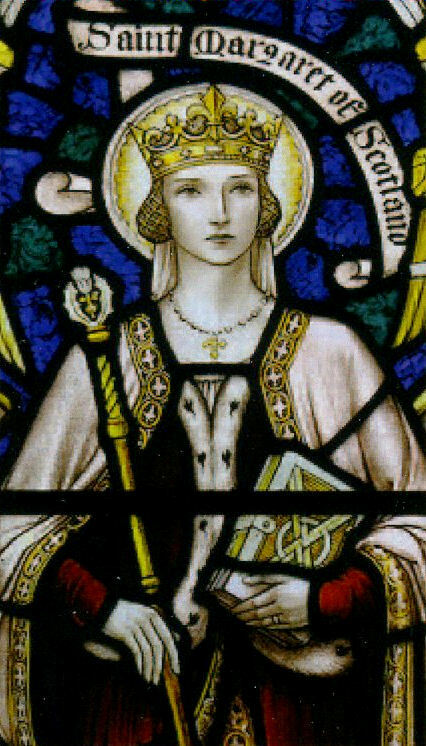 Five of these also ruled England, while Anne of Great Britain was the last Queen of Scots, the last Queen of England and the first monarch of the United Kingdom of Great Britain. 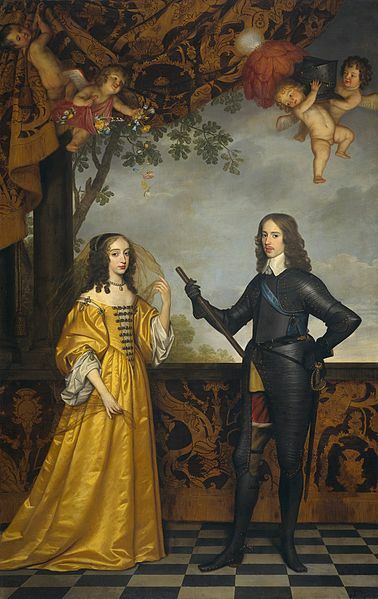 Double-portrait of William II (1626-1650), Prince of Orange, and his wife Mary Stuart (1631-1660). When it comes to burials, the Stuarts are pretty simple. Most of them are in vaults under the Henry VII Chapel in Westminster Abbey. Several of them had monuments planned but never executed, so most of them are commemorated by small stones in the Chapel's floor. Who are the Scots-Irish Americans? Many Americans of Celtic descent also mistakenly believe they are Irish when in fact they are Scots-Irish. Scots-Irish Americans are descendants of Scots who lived in Northern Ireland for two or three generations but retained their Scottish character and Protestant religion. Scots went to Northern Ireland beginning when the Scottish Stewarts took over the throne of England, just after 1601 The late Elizabeth I of England had just defeated and driven out the duplicitous Earls of Ulster and between that war and the warfare between the earls themselves just before they joined to renege upon their English treaties, the land had become largely unpopulated. 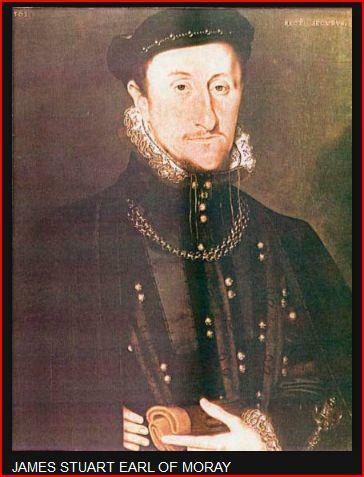 James I, decided that to prevent other troublesome Irish from moving into the area, he would create new colonies for Protestant Scots and English. 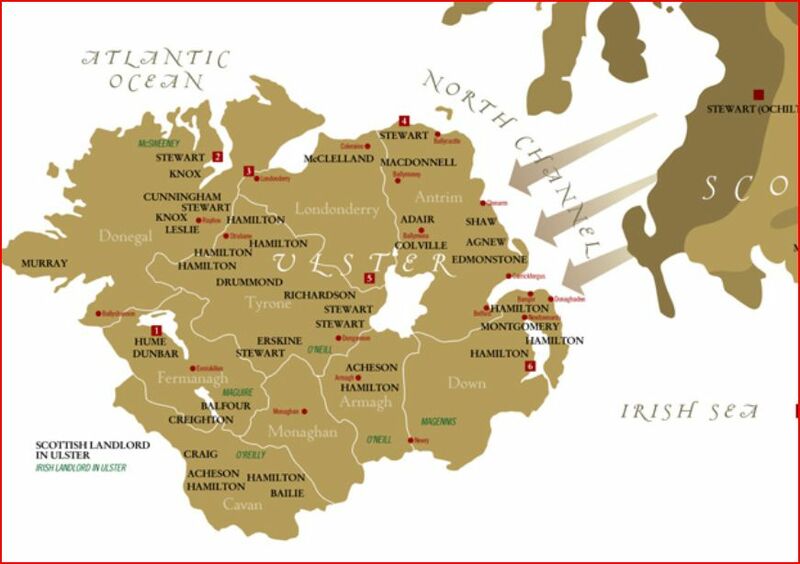 Not many English wanted the poorer lands of Ulster. Scots did because improvements in agriculture, livestock, and crafts and commerce had led to a population explosion in Scotland after 1513, and the people were literally running out of useable land. Thus Ulster by 1640 was inhabited by a Scottish majority--and by 1700 had literally hundreds of thousands of Scots families living there. However, their descendants are mostly unaware of how northern Ireland came to be settled and dominated by Scots between 1600 and 1700. They know only perhaps that grandpa`s or grandma`s family Bible shows they came to America from Ireland, or that there's an importation record in an eastern seaboard state that says they arrived from Ireland in such year, and they believe they are simply Irish. The earliest large group of Scots-Irish mixed with Scots emigrated because they were Presbyterians being persecuted by Charles I. They did not want bishops and would not take loyalty oaths to the Church of England/Scotland in exchange for recognition of their ministers. The Puritans, English Congregationalists who dominated Massachusetts then invited the Scots-Irish and Scots Presbyterian "dissenters" to settle among them. Scots-Irish and Scots dissenters then were arriving by the multiple ship-loads in Massachusetts by the 1640's. However, the Massachusetts Congregationalists soon began complaining about the less modest dress of Scottish/Scots-Irish women and the freer, less disciplined Scottish children. 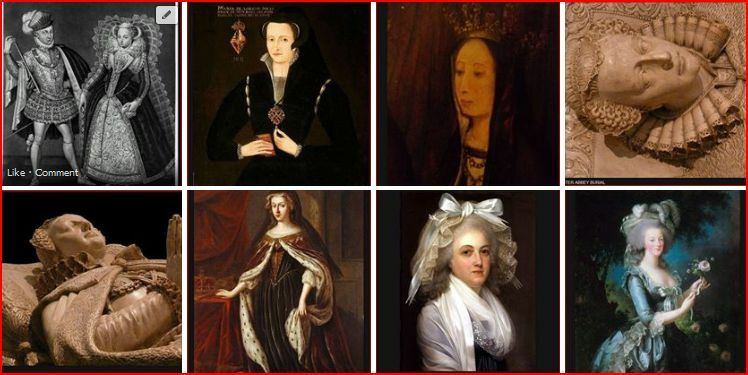 They also did not agree with the Scots insistence on educating all their children, girls as well as boys, to read write and do arithmetic, and to allow women to be elders of the church congregations. Soon Massachusetts was settling Scots-Irish and Scots emigrants on its most dangerous frontiers and requiring double tithes of the Scottish Presbyterian communities where there were both Presbyterian and Congregationalist churches. By the late 1600's Scots-Irish and Scots were being clearly treated as less desireable second class citizens in Massachusetts and they were no longer emigrating in large numbers to Massachusetts. Many later Scots-Irish and Scots who already had relatives in Massachusetts were emigrating to New York, and settling along the New York frontier with the Iroquois, or in safer New Jersey. Also, eventually the split between the Scots and Scots-Irish Presbyterians and the English Congregationalists in Massachusetts led to the development of the separate colonies/states of more Scottish New Hampshire and Vermont. The next large group of Scots-Irish combined with Scots first arrived in Virginia also as a result of persecution by Charles I in the 1640's. However, many more Scots-Irish and Scots then arrived between 1649 and 1660, because they and the Commonwealth of Virginia were loyalists to the Stewarts, and against Cromwell. 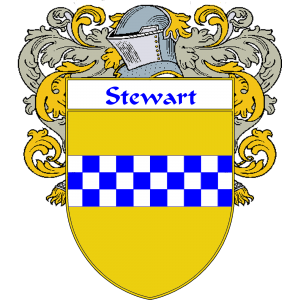 They settled in Virginia and Maryland, which, as a Catholic colony, and so loyal to the Stewarts, welcomed them. The next group settled in Maryland in the 1670's-80's, on the eastern peninsula, including what became Delaware, which was not its own separate colony until the 1770's. Then came the largest of all of the early Scots-Irish and Scots waves of emigration between 1713-1746. 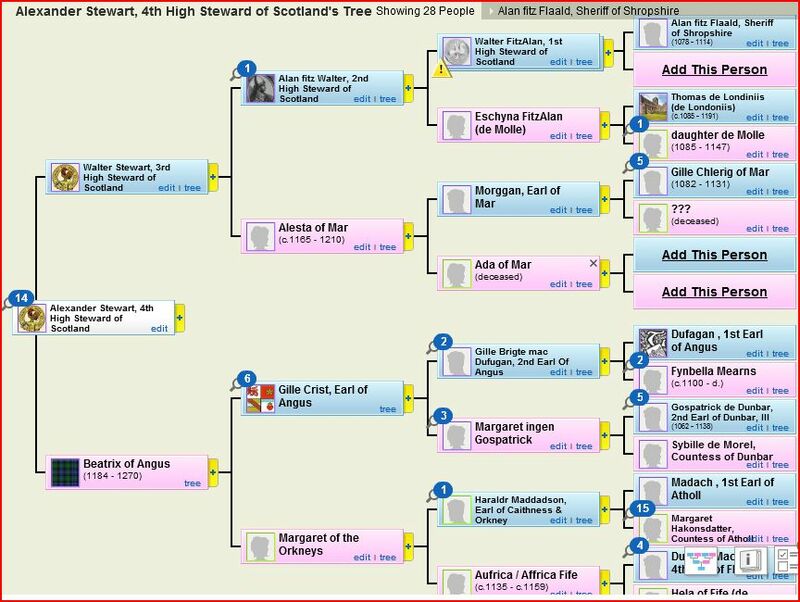 This was when the Scottish Stewarts were replaced by the German Hanovers as the ruling family of England and Scotland. 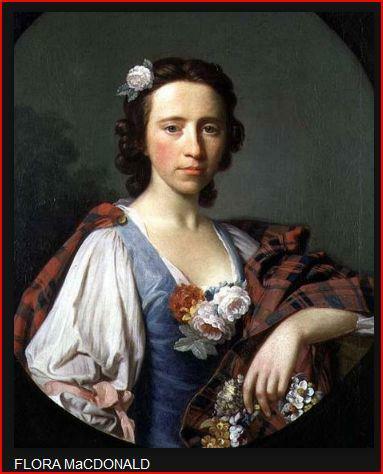 The Scots no longer enjoyed as much attention, favor and commercial privileges under the Hanovers. Worse, after the Act of Union became fully implemented, Ulster found itself left out and had none of the commercial privileges enjoyed by Scotland itself. 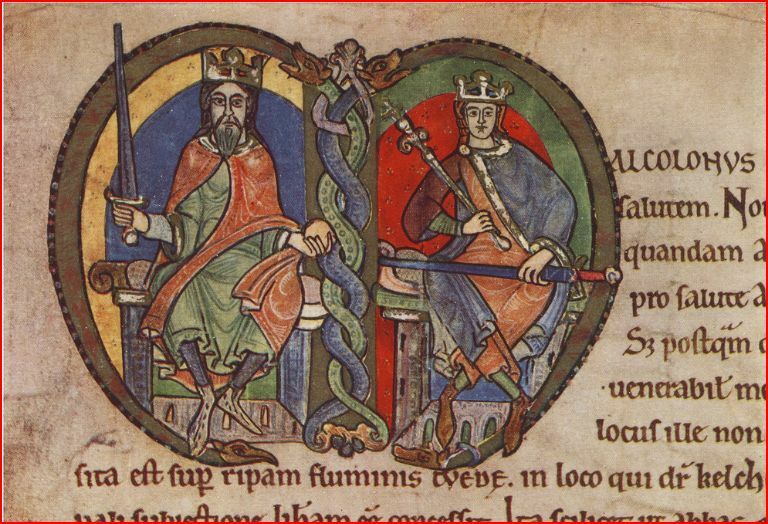 Ulster was not permitted international trade, only trade with England and Scotland, causing a collapse in the economy. At the same time the landlords were allowed, in violation of previous Stewart mandates and restrictions, to drastically raise rents on lands that were supposed to have been sold to plantation tenants but never were. The resulting group of hundreds of thousands of Scots-Irish and Scots emigrants, primarily arrived through what had become the Pennsylvania port of Newcastle, the main port of Philadelphia itself. The group mostly settled initially in the Maryland counties closest to existing Pennsylvania counties, and in Chester and Lancaster counties in Pennsylvania and the counties that became Delaware. However, Pennsylvania was slow to sell or grant lands to the new emigrants and Virginia decided to welcome them instead in the 1730's. The result was that more than half of the Scots-Irish and Scottish families who first tried to settle in Pennsylvania went south from the Potomac through the Shenandoah Valley into Virginia and settled the Piedmont, Great Valley, adjacent valleys, and the eastern parts of the Blue Ridge in Virginia, Maryland and North Carolina. 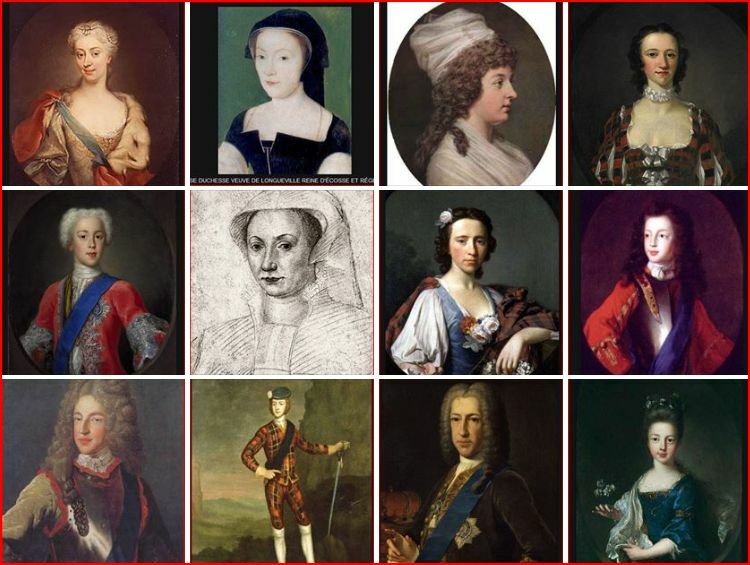 Some of the post 1713 Scots-Irish and Scots who had arrived at Newcastle, also went to Baltimore, along with Maryland descendants of earlier generations of Scots-Irish and Scots. These groups together built up Baltimore as a major commercial port city, like Glasgow back in Scotland, which became a major trading partner. By the time of the Revolution, one more significant group had arrived in North and South Carolina after the defeat of the Scots and Scots-Irish trying to restore the Stewarts at Culloden and the subsequent massacres of Scots by the Hanoverian Duke of Cumberland. Just before the American Revolution, in 1771-3,a rebellion of mostly Scots-Irish in North Carolina, against English landlords called "The Regulators Rebellion" resulted in severe punishment by Governor Tryon and many Scots-Irish and Scottish families then fleeing to South Carolina, where they settled in the old Spartanburg and Ninety-six Districts. During much of the eighteenth century there was a significant Jacobite community in Toulouse. This article will discuss its origins, and show how it became more important after 1741. This diaspora was not only political and military; it was also religious. Ever since the Protestant reformation in England and Scotland in the sixteenth century there have been a large number of English and Scottish schools, colleges, seminaries and convents in Catholic Europe, notably in the Netherlands, France, Spain, Portugal and the Papal States. The gradual English conquest of Ireland, particularly during the seventeenth century, had also produced a similar number of religious foundations for Irish Catholics, particularly in France and Spain. After the revolution of 1688-89, when the Catholic James II was forced into exile by William of Orange, these English, Scottish and Irish Catholic institutions had all retained their loyalty to the exiled Stuart dynasty, and thus had become important Jacobite centres, where the new political and military exiles were welcomed and supported. The presence in France, Spain and Portugal of a very large number of Catholic exiles also had important commercial implications. English, Irish and Scottish merchants already had trading links with France, Spain and Portugal, but these were greatly facilitated and enhanced when exiled Jacobites became involved in shipping and in overseas trade. It was easier for the merchants in the British Isles to deal with those in foreign countries who spoke the same language and with whom they already had connections. For the first twenty-five years after the revolution of 1688-89 the Jacobite diaspora probably had little impact on the city of Toulouse. There had been a small Irish college attached to the university since 1660, and it immediately became a centre of Jacobitism. But that is probably all. 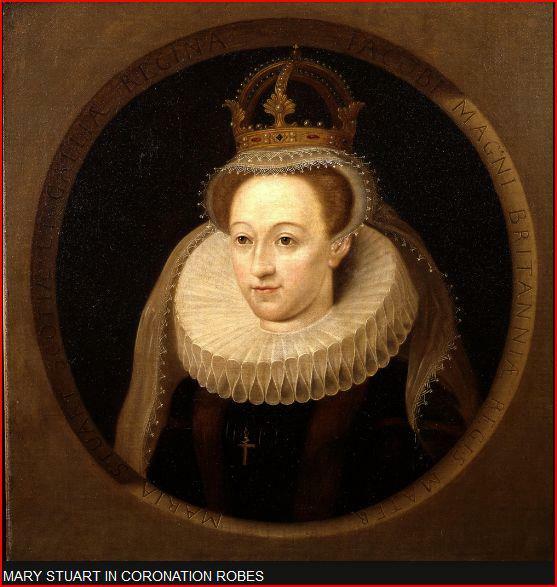 This changed, however, at the beginning of 1717 when a large number of Scots arrived in Toulouse. 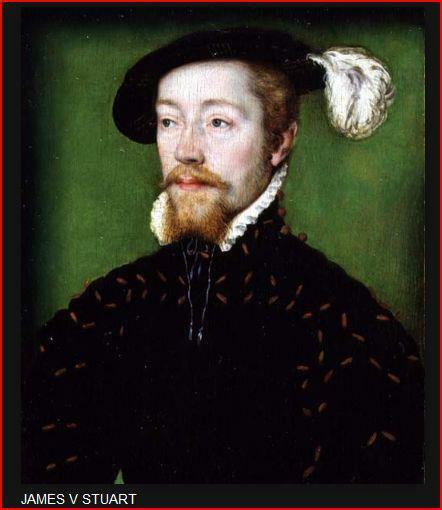 To understand this new development we need to return to the Stuart court in exile at Saint-Germain-en-Laye. When James II died in 1701 he was succeeded as the de jure King of England, Scotland and Ireland by his thirteen year old son, James III. 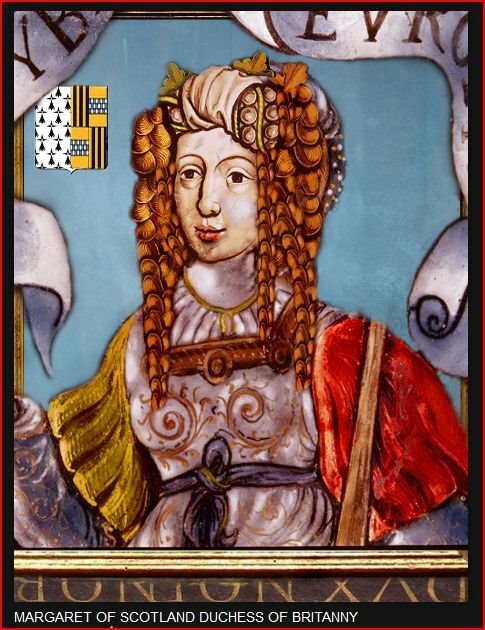 At the beginning of the following year William III died at Hampton Court and was succeeded as de facto Queen by Anne, a daughter of James II by his first wife and thus the elder half-sister of James III. 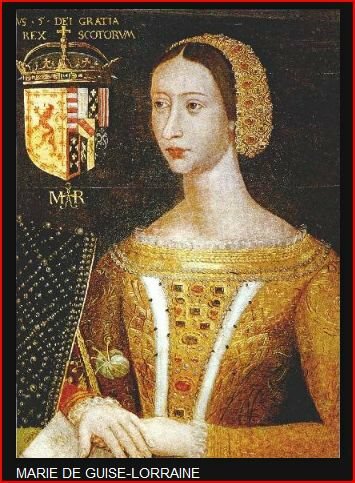 Although James was recognised as King by Louis XIV, Philip V of Spain, Pope Clement XII and various other princes, it was generally agreed among Jacobite circles that a restoration would have to be deferred until the death of Queen Anne. The years from 1701 to 1714 were therefore a period of waiting. Meanwhile a new generation of Jacobites was born and brought up at Saint-Germain. It included several people who would later come to Toulouse and play a significant role in the development of the town. There is no need to repeat here in any detail the story of how Louis XIV tried to restore James III to his thrones during the War of the Spanish Succession. (5) But we might usefully recall the main events. In 1708 there was a Franco-Jacobite attempt to invade Scotland, where pro-Stuart sentiment was particularly strong, and where there was considerable opposition to the Anglo-Scottish Treaty of Union of the previous year. It failed, because the French fleet was unable to make a landing on the east coast of Scotland. 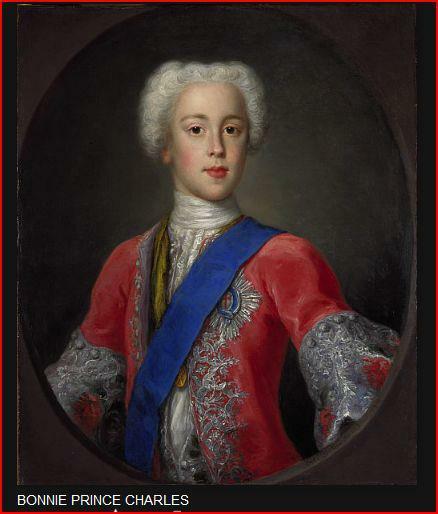 In 1711-12 the pro-Jacobite members of a Tory government in London intimated to Louis XIV that a restoration would be facilitated if James were to leave France and move to Lorraine. 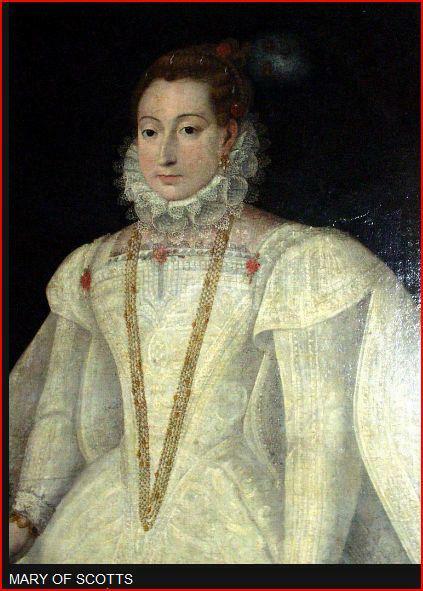 It was therefore agreed in the Treaty of Utrecht of 1713 that France and Spain would no longer support James himself, though most of the Jacobite courtiers and their families would be allowed to remain at Saint-Germain with Queen Mary of Modena. 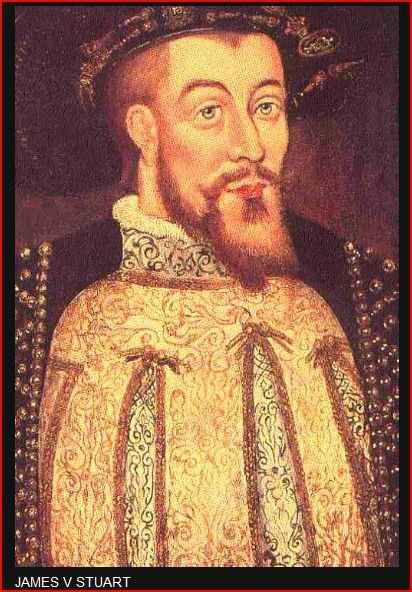 Having moved part of his court to Bar-le-Duc, and thereby distanced himself from France, James then entered into negotiations with the Tory ministers to bring about a peaceful restoration whenever Anne should die. These negotiations failed because they soon reached an impasse. 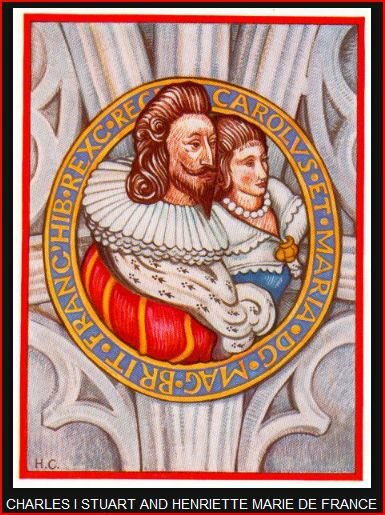 The Tories had passed an Act specifying that all future monarchs had to be or become members of the Anglican Church. James was a Catholic, believed strongly in religious toleration, and refused to convert; and neither side was willing to give way. 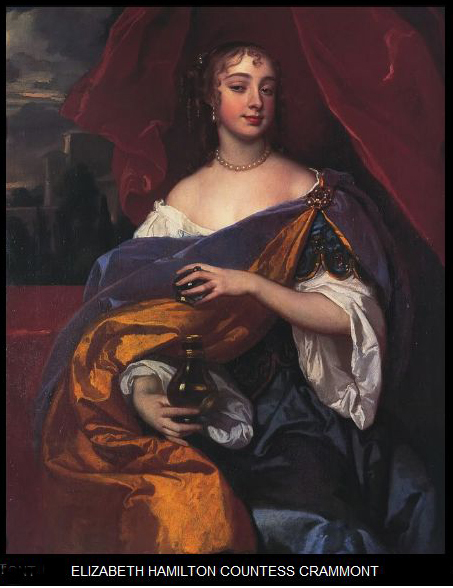 This meant that when Queen Anne died suddenly in the summer of 1714 she was not succeeded by James but by George, the Elector of Hanover, who had been provisionally offered the throne because he was a Protestant and willing to become an Anglican. 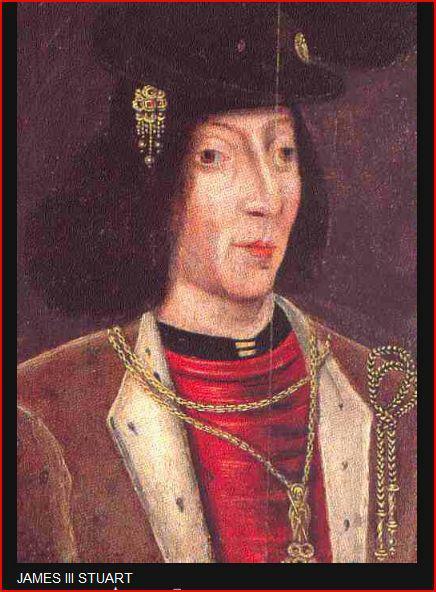 James III was faced with a difficult predicament. A peaceful restoration was no longer possible, yet French help to bring one about was not forthcoming under the terms of the Treaty of Utrecht. The only possibility seemed to be to lead a major rising in Scotland, to break the Union, and then invade England from the north. 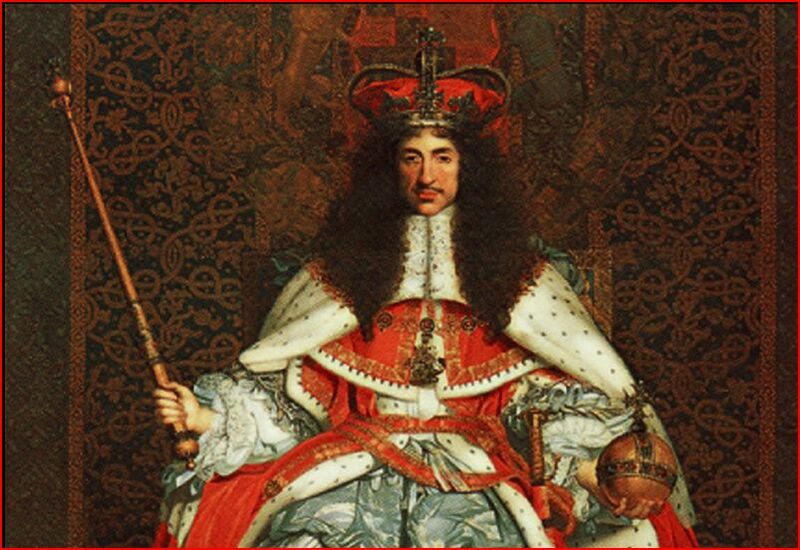 The rising took place in the autumn of 1715, and James III hastily left Lorraine to place himself at its head. Having secretly travelled through France, he landed in Scotland in January 1716, only to discover that the Jacobites had already been defeated. He was obliged to leave after only a few weeks and return to continental Europe, where he was faced with a major problem to find a new place of residence. The Treaty of Utrecht stated that he was not allowed to remain in France. Louis XIV had died in September 1715 and had been succeeded at the head of the French government by the duc d’Orléans, as Regent for Louis XV. 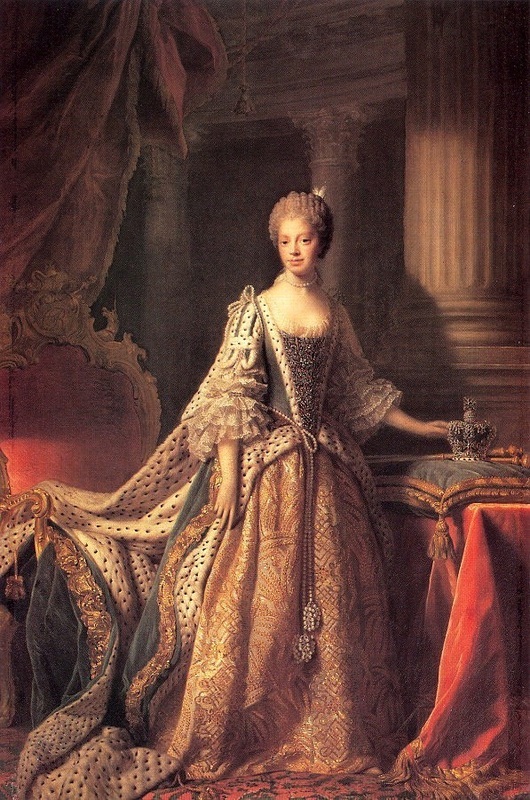 Unlike most of the French court, Orléans was pro-Hanoverian and anti-Jacobite. He therefore joined with George I in bringing pressure to bear on the duc de Lorraine to stop James returning to Bar-le-Duc. James had no choice but to go south to Avignon, where Pope Clement XII was willing to give him a refuge. Having sent most of his servants back to join the Queen-Mother at Saint-Germain, he arrived at Avignon with a small court in April 1716. James III remained at Avignon until February 1717, when he was forced by the duc d’Orléans to cross the Alps and settle in the Papal States. There he would remain for the rest of his life, never to regain his thrones. 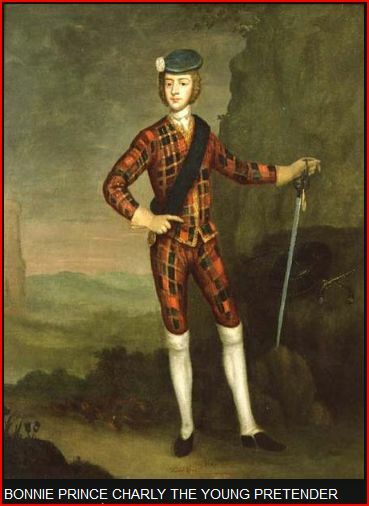 While he was at Avignon he was joined by about two thousand Scottish Jacobites, many of them Highlanders, newly exiled after the rising of 1715-16. As he could not take all these people to the Papal States, he had to find an alternative place for them to go. And the place chosen was Toulouse. (2) There are several references to him in Corp, A Court in Exile. When his daughter was baptized at Saint-Germain in November 1704, her godfather was a certain Pierre du Mirail, and her godmother was Anne du Mirail, «veuve du sieur Benoist, commissaire des guides» (C. E. Lart, The Parochial Registers of Saint Germain-en-Laye: Jacobite Extracts, 2 Vols., London, 1910, 1912, vol. 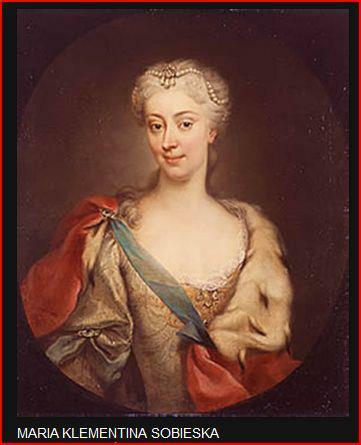 2, p. 64) She later married a Monsieur de Brillac (Royal Archives at Windsor Castle, Stuart Papers – hereafter cited as SP – 239/44, Flyn to Edgar, 6 January 1743). 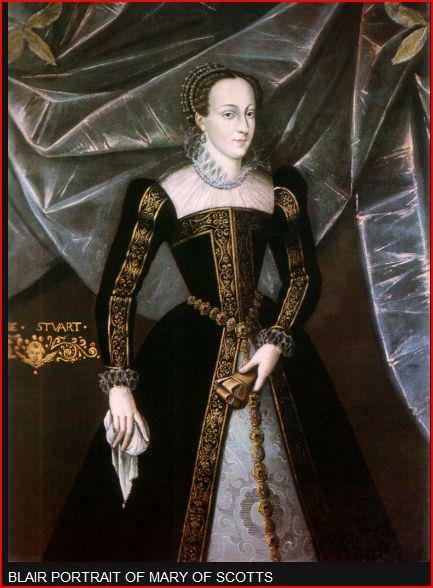 (3) Edward Corp, The King over the Water: Portraits of the Stuarts in Exile after 1689 (National Galleries of Scotland, Edinburgh, 2001), p. 37, 40-47; and A Court in Exile, p. 180, 184-93. See also Dominique Brȇme, François de Troy (Paris and Toulouse, 1997). (4) Thomas O’Connor, ed. The Irish in Europe, 1580-1815 (Dublin, 2001), including an essay by the present author entitled «The Irish at the Jacobite Court of Saint-Germain-en-Laye», at p. 143-156. See also Guy Rowlands, «An Army in Exile: Louis XIV and the Irish Forces of James II in France, 1691-1698», Royal Stuart Papers LX (London, 2001). (5) A summary is in Daniel Szechi, The Jacobites: Britain and Europe, 1688-1788 (Manchester University Press, 1994). For more detailed coverage, see Corp, A Court in Exile, chapters 1 and 6. (6) Historical Manuscripts Commission, Calendar of the Stuart Papers preserved at Windsor Castle, 7 volumes (London, 1902-23) – hereafter cited as HMC Stuart – III, p. 490, Mar to Seaforth, 30 January 1717. (7) Ibid., p. 504, Mar to Dicconson, 2 February 1717. 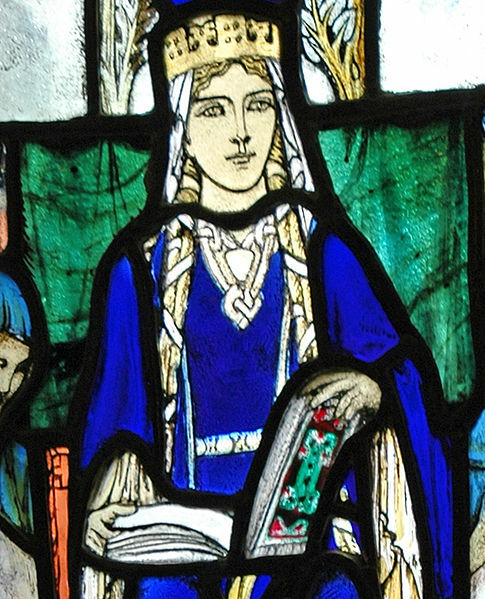 The problem is that Barnewall had so many Jacobite connections that any description of them is bound to be extremely complicated, and difficult to follow. Those who are willing to accept that Barnewall was in fact a committed Jacobite, and that Taillefer [¶] and Pistre were completely wrong to doubt it, might wish to skip over some parts of the following paragraphs. But the evidence needs to be placed on record. And some of it will be referred to again in the later sections of this article. There were two main branches of the Barnewall family, both of which are relevant because Richard Barnewall was a member of the senior branch, while his mother and wife were both members of the junior branch. The head of the senior branch was Baron Trimleston, a title which had been in the family since 1461. 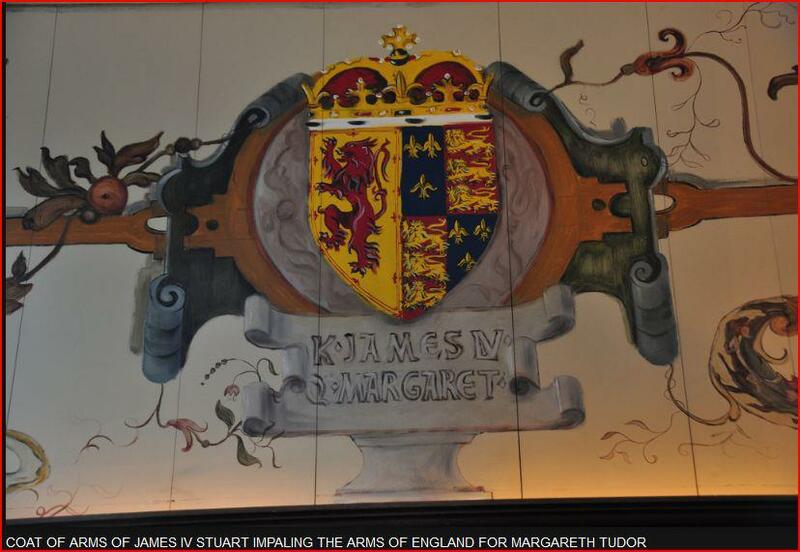 The head of the junior branch was Viscount Kingsland, a title granted by Charles I in 1645 (22) Richard’s father was the 11th Baron Trimleston; his mother was a niece of the 1st Viscount Kingsland, and first cousin of the 2nd Viscount; his wife, who was his second cousin once removed, was the daughter of the 3rd Viscount. 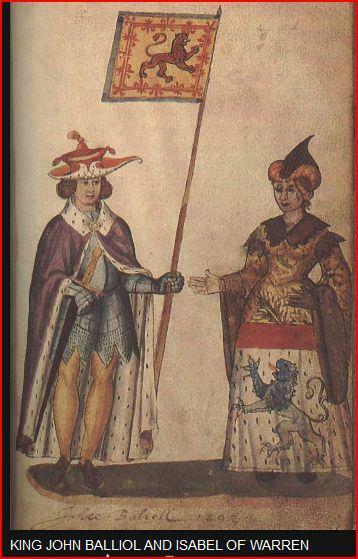 Both branches of the family actively supported James II in the war in Ireland against William of Orange. Richard’s uncle was the 10th Baron, who followed James II into exile and died in Flanders in 1692 while serving in the French army. 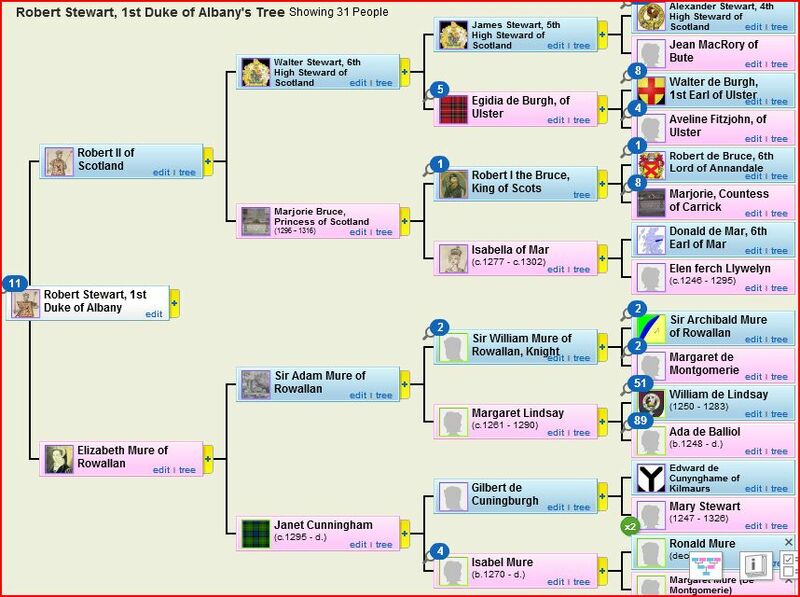 As the 10th Baron had no children, Richard’s father inherited the family title, as 11th Baron. He had been attained for supporting James II, and it was with difficulty that the attainder was reversed under the pardon granted in the Treaty of Limerick. 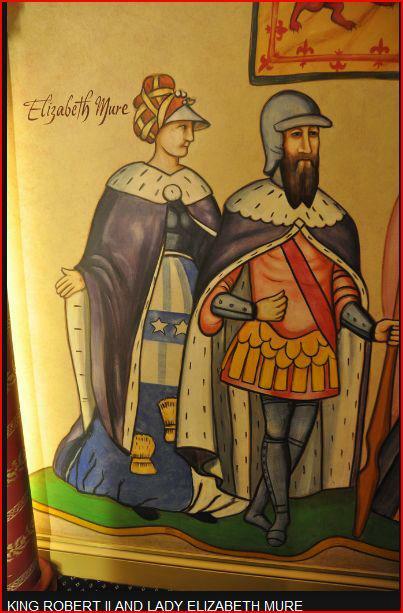 Richard’s aunt Bridget (sister of the 10th and 11th Barons) was married to Colonel Christopher Nugent. In 1691 she and her husband went to live in France. 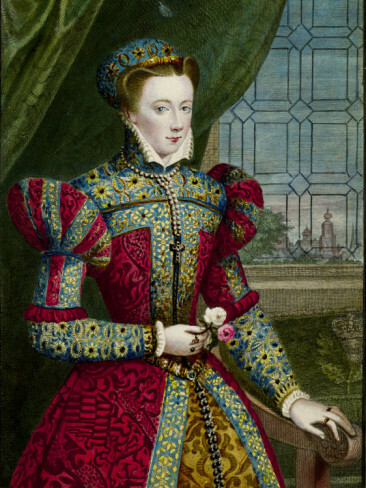 She became a permanent member of the Jacobite court, and served for many years as a Bedchamber Woman to James III’s sister, Princess Louis Marie. (23) Christopher Nugent was the proprietary colonel of Nugent’s Regiment, and one of the most distinguished of all the Jacobite officers in the French army. He was later promoted to be a Lieutenant-General. 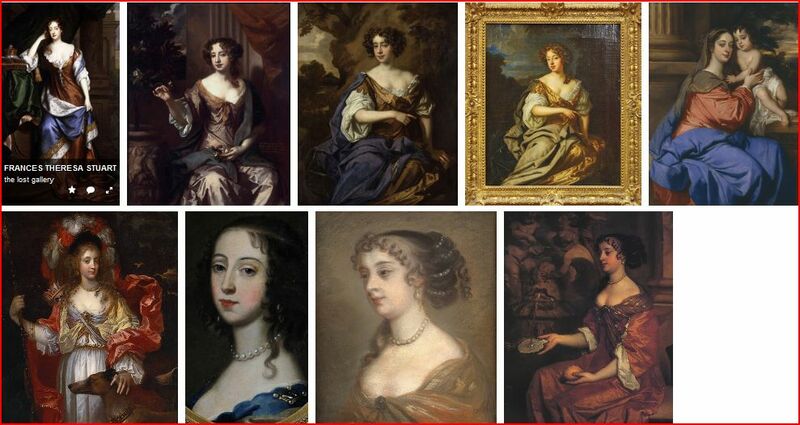 (24) The Nugents had six children (Richard Barnewall’s first cousins) who were all brought up in the Château de Saint-Germain during the 1690s (28), and were closely connected with some of the most important members of the Jacobite court. 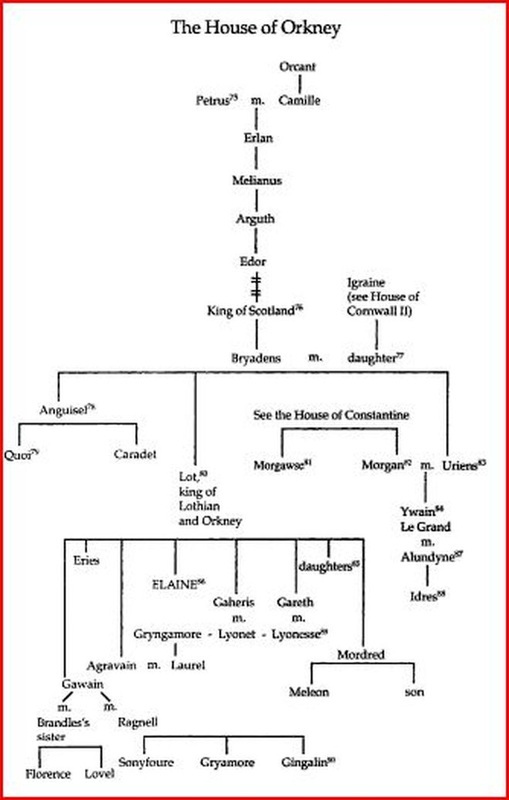 The extent of her connections cannot be fully understood without recourse to a family tree, and must therefore be merely summarized here. 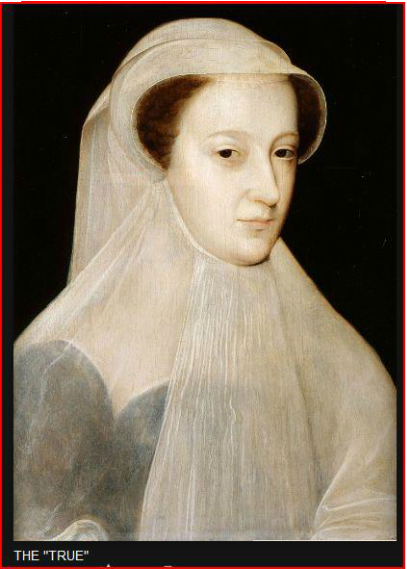 The main point to notice is that Mary Hamilton’s own mother (i.e., Frances Barnewall’s grandmother) was married twice, first to George Hamilton (Mary’s father), then to the Duke of Tyrconnell (her step-father). 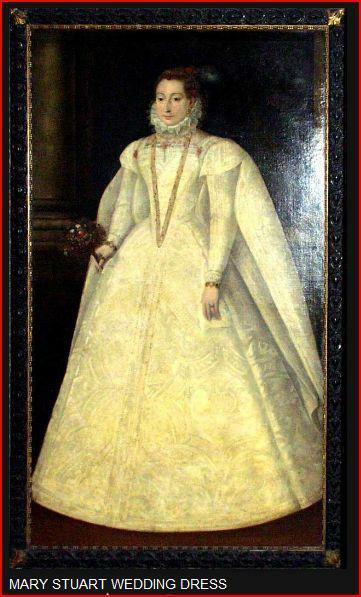 Her paternal uncles were the Jacobite poet Anthony Hamilton, known in France as comte Antoine Hamilton, and Richard, who was Master of the King’s Robes at Saint-Germain. 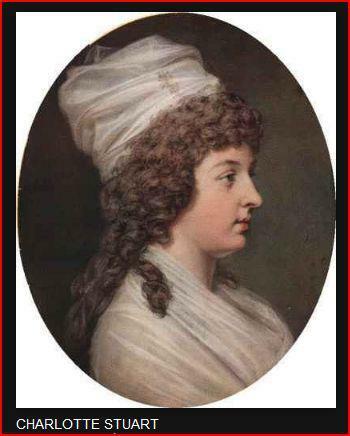 (29) Her sister, née Francis Hamilton, was married to the 8th Viscount Dillon, elder brother of Arthur, proprietary colonel of Dillon’s Regiment in the French army. 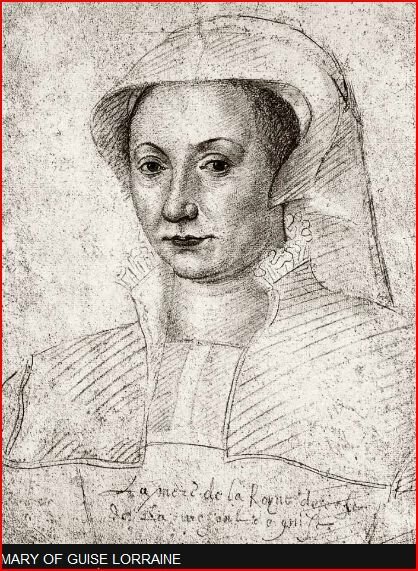 (30) Arthur’s wife was the sister of two of the leading English Jacobites at Saint-Germain. (31) They had ten children, one of whom would become Archbishop of Toulouse, all of them brought up at the Château de Saint-Germain. 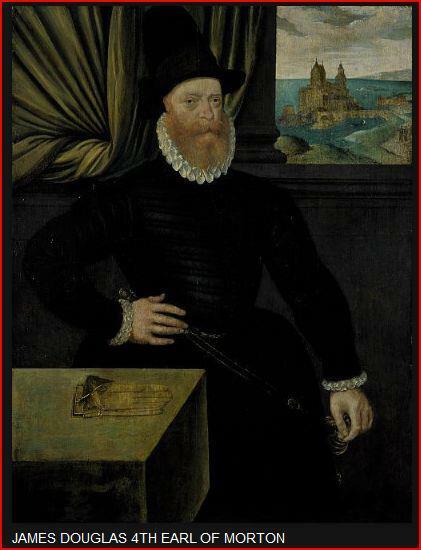 Let us conclude, therefore, that when Richard Barnewall, the man who would later introduce Freemasonry to Toulouse, married his cousin Frances Barnewall, it was a particularly important union between two of the best connected young Jacobites in Ireland. 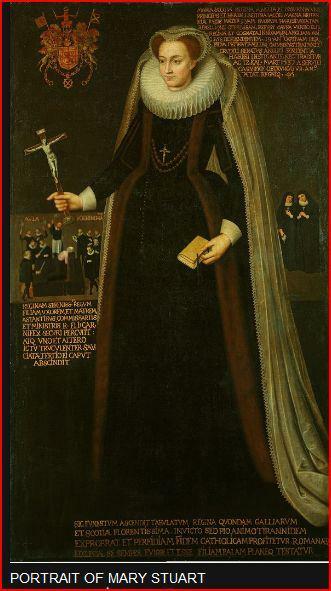 They were both Irish and Catholic, as were all their relations mentioned in the detailed paragraphs above, at a time when being an Irish Catholic was virtually synonymous with being a Jacobite. The marriage took place in Ireland in July 1725 when Richard was seventeen. It is not known when Richard Barnewall was initiated as a Freemason, but it was presumably in Dublin in the late 1720s. The Grand Lodge of Dublin was created in 1725, and the Grand Lodge of Munster was created in 1726. 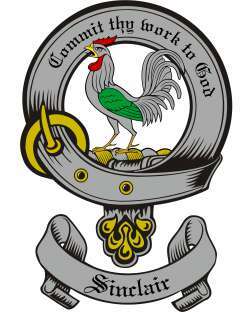 They united in 1731 to form the Grand Lodge of Free and Accepted Masons of Ireland, and during the 1730s Barnewall and his brother-in-law became two of its most important members. The 4th Viscount Kingsland (Henry Benedict Barnewall) was elected Grand Master in 1733. Richard Barnewall served as Deputy Grand Master from 1734 to 1737. (34) These years coincided with the power struggle in Paris between the Jacobite and Hanoverian Freemasons to control the Grande Loge de France. 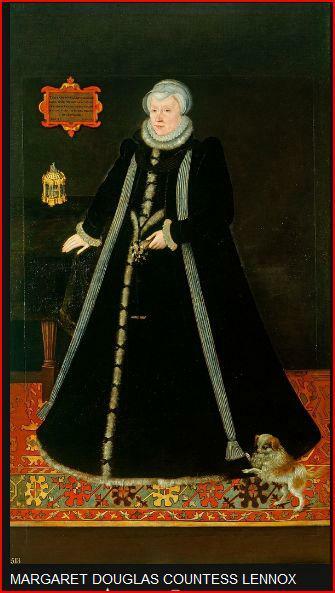 The Barnewall’s lived with Mrs. Elizabeth O’Neil, an English Jacobite whose Irish husband had been a Page of the Bedchamber to James III. 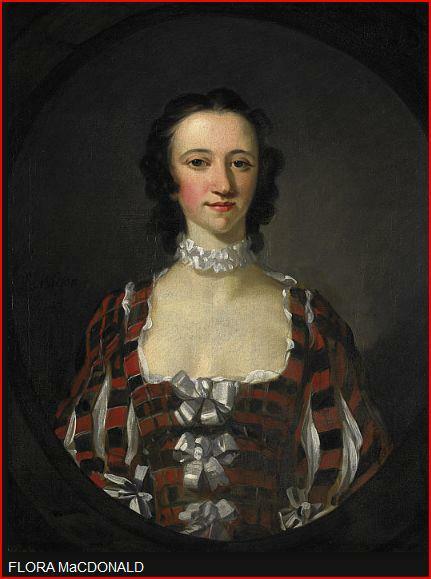 (37) She had recently been widowed, was short of money, and was therefore able and willing to provide rented accommodations for the group of visiting Irish Jacobites. (38) For some reason Richard Barnewall decided not to have his sons educated at the Irish college in Paris, and chose the Irish college at Toulouse instead. 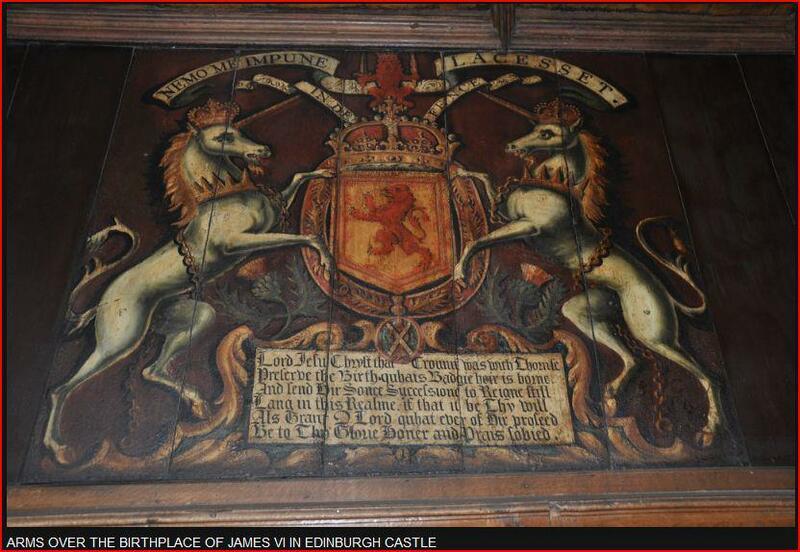 We do not know why, but a possible explanation is that Richard Barnewall was a Jacobite and not a Hanoverian Freemason. (21) This section is heavily indebted to Taillefer’s book [¶] for the chronological facts concerning the early history of Freemasonry in Toulouse. My interpretation of those facts, however, is very different. 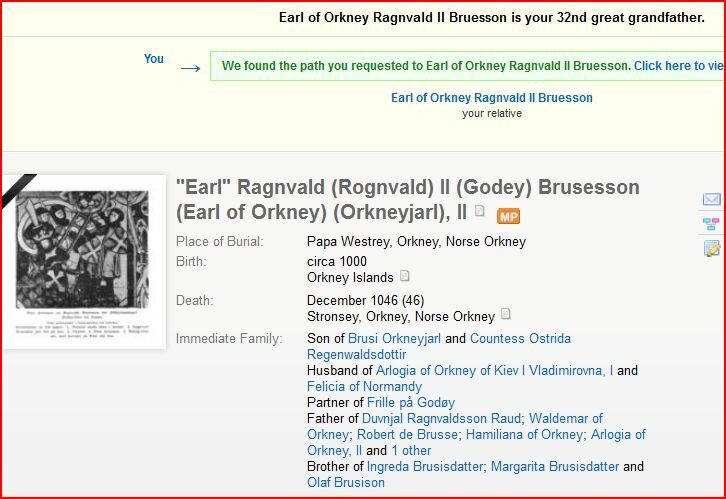 (22) The genealogies of the Barnewall families, and of the other families mentioned in this section, as well as the correct spelling of their names and titles, may easily be checked in any of the British Peerages, two of which are available among the Usuels of the Bibliothèque Municipale de Toulouse. (23) Corp, A Court in Exile, p. 366. (24) J. C. O’Callaghan, History of the Irish Brigades in the Service of France (Glasgow, 1870; and facsimile edition, Shannon, 1969), p. 153-55. 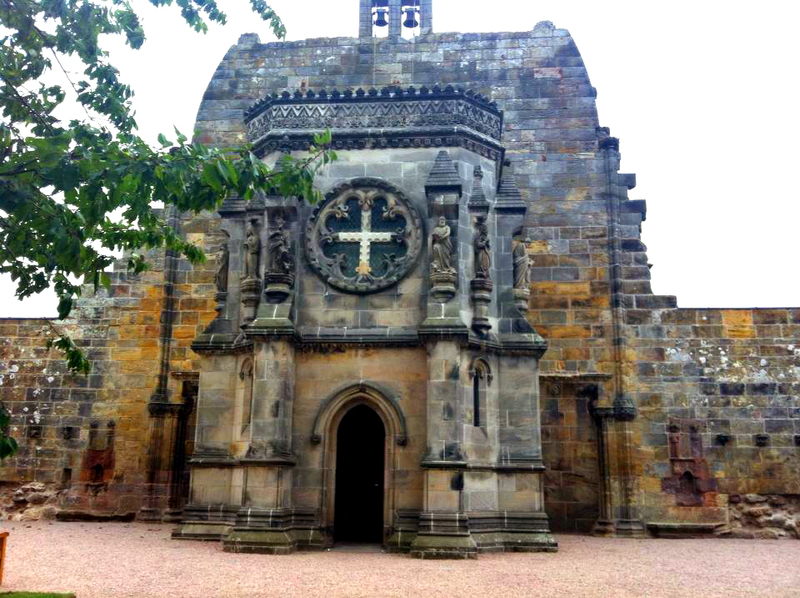 (25) The details of the Jacobites married and born at Saint-Germain are given in Lart. op. cit. (26) André Kervella, La Passion Écossaise (Paris, 2002), p. 506. 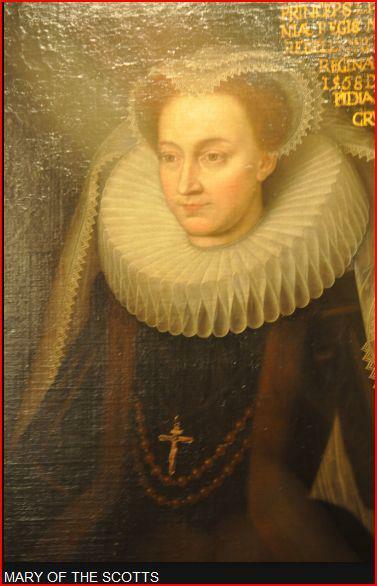 (27) One might add that Richard Barnewall’s grandmother was the sister of the 1st Earl of Limerick, who went into exile at Saint-Germain-en-Laye and died there. 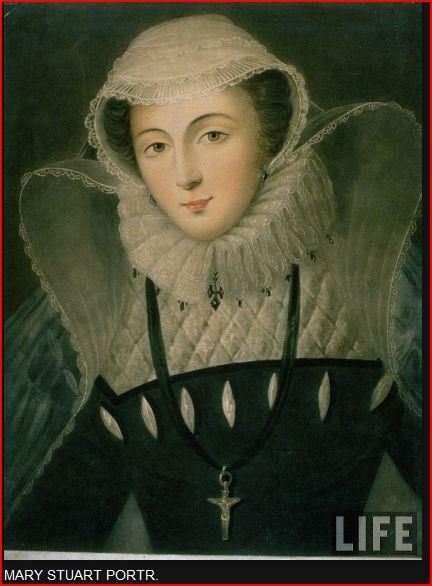 See Corp, «The Irish at the Jacobite court of Saint-Germain-en-Laye», in O’Connor, op. cit., p. 148-149. (28) Edward Corp, «Les courtisans francais à la cour d’Angleterre à Saint-Germain-en-Laye», Cahiers Saint-Simon noº 28, Année 2000, p. 63. Her visit to Fontainebleau with James II and Mary of Modena in the autumn of 1695 was recorded by the marquis de Dangeau. See Philippe de Courcillon, marquis de Dangeau, Journal, eds. E. Soulié and L. Dussieux, 19 vols (Paris 1854-60), vol. 5, p. 285, 29 September 1695. (29) There are many references to both brothers in Corp, A Court in Exile. (30) O’Callaghan, op. cit., p. 27-28, 46-43. 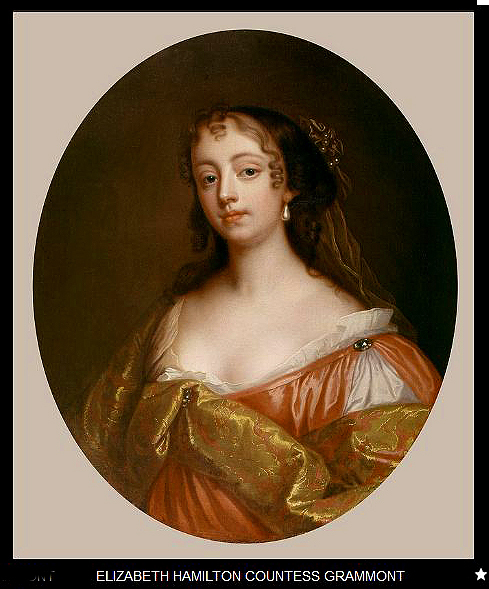 (31) Lady Dillon was born Catherine Sheldon. 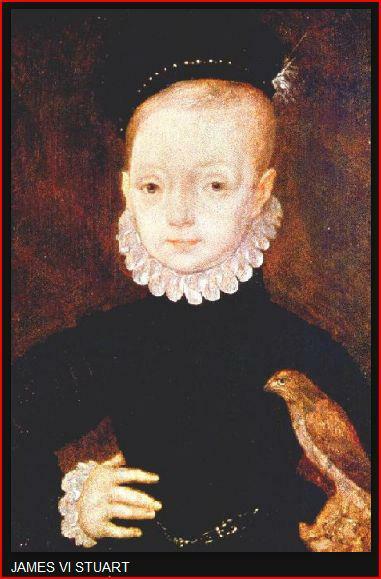 Her brother Dominic was Under-Governor of James III when the king was a boy, then Vice-Chamberlain. 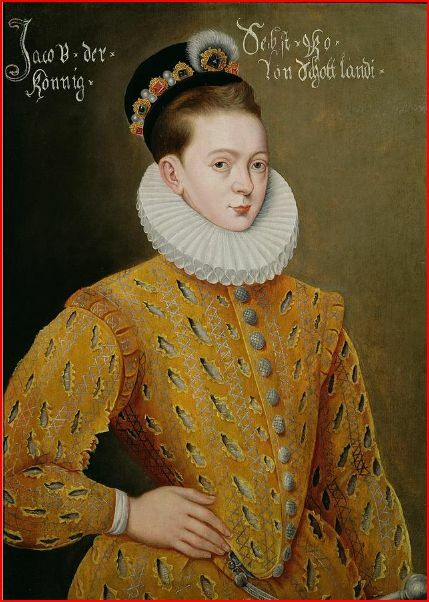 Her brother Ralph was one of James III’s equerries. (32) There are many references to both ladies in Corp, A Court in Exile. (33) There are also many references to John Nugent and his family in Corp, A Court in Exile. (34) Taillefer, op. cit., p. 21. (36) Richard Barnewall’s relations at Saint-Germain are frequently mentioned in the correspondence between Saint-Germain and the Stuart court in Rome, preserved in the Stuart Papers at Windsor Castle. (37) Taillefer, op. cit., p. 18; Corp, A Court in Exile, p. 300, 337. (38) SP 199/61, petition of Mrs Elizabeth O’Neill to James III, 14 July 1737; SP Box 2/425, Mrs Elizabeth O’Neill to James III, undated [1740s]. [†] Lord Charles Radclyffe, 5th Earl of Derwentwater. (39) Corp, A Court in Exile, p. 341-42. See also my forthcoming article «La Franc-maçonnerie jacobite et la bulle In eminenti d’avril 1738», to be published in La Règle d’Abraham, nº 18, December 2004. (40) It might also help to explain why the Bibliothèque Municipale de Toulouse owns two contemporary manuscript copies of Sir Andrew Ramsay’s «Discours prononcé à la reception des frée-macons» (MS 932, f.76; and MS 1213, f.1). They are discussed in Georges Lamoine, Discours prononcé à la Réception des francs-maçons par le Chevalier André-Michael de Ramsay (Editions SNES, Toulouse, no date). (41) Taillefer, op. cit., p. 26. The document recording the fact is dated 1773, and states that Niquet was initiated by Derwentwater in Paris « il y a environ quarante ans». Lord Derwentwater was in Rome until 1736, and he left Paris for Saint-Germain in 1738. (42) A copy made in December 1774 of the original charter of 2 December 1741 is quoted in full in Taillefer, op. cit., p. 15-16. (43) Taillefer, op. cit., p. 17. La-Roche-Aymon to Fleury, 21 March 1742. (45) Ibid., p. 17, Maniban to Fleury, 18 April 1742. (48) See above, note 39. (49) Taillefer, op. cit., p. 198. It is not surprising the Jacobite presence in Toulouse came to an end with the French Revolution. The English, Irish and Scots who followed James II and his son James III into exile were both royalists and legitimists, completely out of place in the France of 1792 to 1814, and after 1830. Some of them achieved positions of importance under Louis XVIII and Charles X, but otherwise their loyalties were to the exiled Stuarts. Nevertheless, the legacy of the Jacobite presence in Toulouse can still be found. The Jacobite presence in Toulouse lasted for about a hundred years, from 1689 until the 1790s when the remaining exiles and ex-patriots were obliged to leave the town and return to their home countries. By then the Jacobite cause was a thing of the past, of no relevance to a new generation which was more concerned with Jacobines. 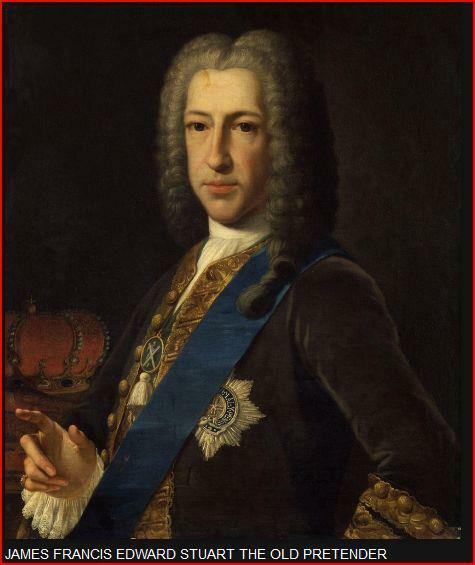 Prince Charles, whom the Pope had refused to recognize as King Charles III, died in 1788. His younger brother Prince Henry, Cardinal York, who might have been King Henry IX, died in 1807. The Irish College was closed with the rest of the university, and when the next British people arrived in Toulouse, with the army of the Marquess (later Duke) of Wellington, they were employed by the Hanoverian King George III. There had been British people in Toulouse before 1689, and others would arrive after April 1814, but the presence of a community of Jacobites, consciously desiring the restoration of the Stuart dynasty, was confined to the period from 1689 to 1792. While it lasted Toulouse was one of the many Jacobite centres spread across continental Europe from Lisbon to St Petersburg. The most important were at Saint-Germain-en-Laye and Paris, at Rome, and at Madrid. Toulouse might perhaps best be regarded as a satellite or outpost of the Jacobite community in the Château de Saint-Germain. One historian of the town has written that «since the 1680s, Toulouse had hosted a substantial community of Jacobites… Two scions of local Jacobite families, Henri de Nesmond and Arthur Dillon, rose to become archbishops of Toulouse, while the latter also left his mark on the city by sponsoring the construction of the promenades by the Garonne that bear his name. Another, the comte de MacCarthy [sic], gained a reputation throughout Europe for his extensive collection of fine books.» (137) This, however, is misleading. 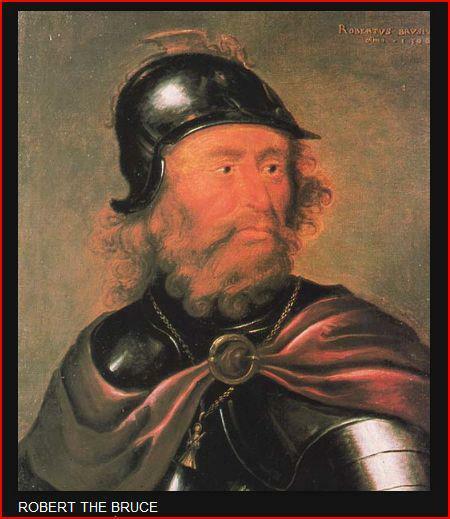 Henri de Nesmond was French, and had no family links with the Jacobites. Arthur Dillon was the first member of his family to have any connection with Toulouse. Justin MacCarthy was born in Ireland and was brought to Toulouse on the recommendation of abbé MacCarthy. 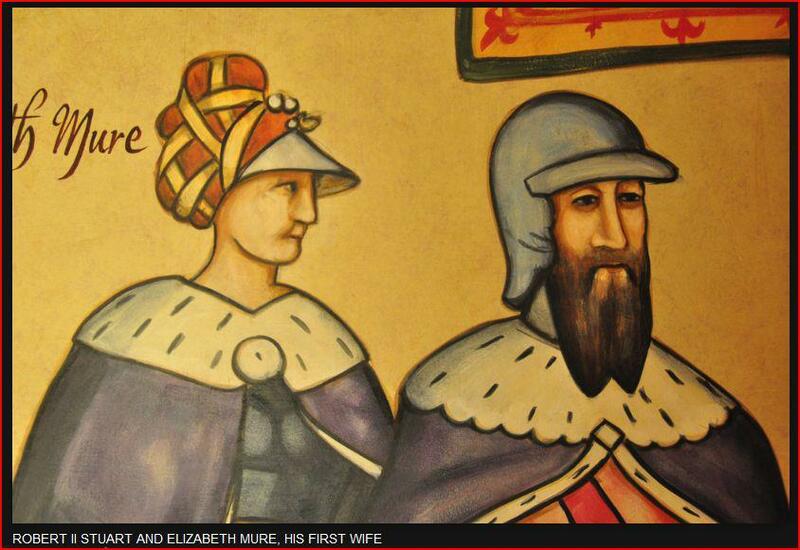 They were not members of local Jacobite families. 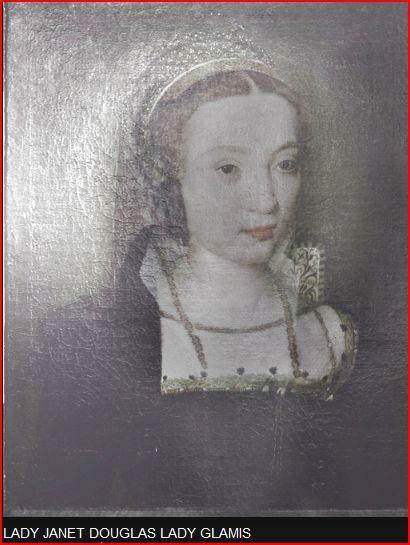 Frances Barnewall, daughter of Nicholas Barnewall, 3rd Viscount Barnewall of Kingsland and Mary Hamilton, Viscountess Barnewall of Kingsland, the daughter of Sir George Hamilton, Comte Hamilton and Frances Jenyns, Duchess of Tyrconnell.